There are the famous cities that you have seen in the movies and that you have read about a million times. There are the two coasts, each presenting a different look and feel. There is the wide open space in the middle. There are the mountains in the west. There is a giant river dividing the landmass in two. Despite the sometimes overwhelming sense of homogeneity in this world and in this country, the United States is indeed a diverse country defined by its states and its regions. Whether you are planning to see just a segment of it or travel from coast to coast and everywhere in between, chances are that no matter how familiar it may seem you will always discover something new. Purple mountains, fruited plains, sea to shining sea. Travelers could spend a lifetime trying to cover the entire country, so below are some highlights of what to see and do if you add the US to your larger trip itinerary. Visit some of the most bustling cities in the world - add them to your multi-stop flight as a way to see as many as possible. New York - The Big Apple is one of the most popular destinations in the world, and a trip the US wouldn't be complete without spending some time here. Las Vegas - Perhaps the most unique city in the world, there truly is no other place on Earth than Vegas. Los Angeles and San Francisco - These California cities are two top destinations if you fly in or out of the west coast. For a great experience, fly into one, rent a car, drive to the other, and continue on from there. Miami - Experience some great beaches, amazing nightlife, and some fantastic cuisine - a great place to end your time in the US. New Orleans - The Big Easy is home to some of the friendliest people in the country and vibe that is unmatched. See some of the best live music in the country and indulge in one of the world's best food scenes. Chicago - The hub of the Midwest, Chicago offers almost as much as New York, but it's not quite as expensive, and the people are quite a bit friendlier. 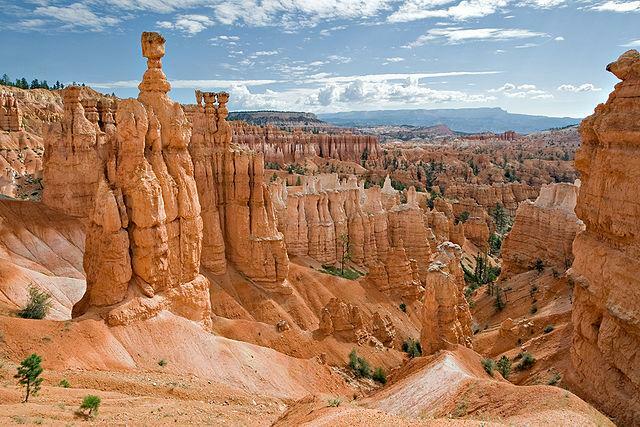 Indie travelers could plan multiple trips around the National Park system in the US - it's an amazing way to see the natural beauty of the country - the Grand Canyon, all parks in Utah, Death Valley, Yosemite, Denali, Grand Teton, and Volcanoes National Parks are just small highlights of the 59 national parks strewn about the country. Go on a road trip. Public transport options are available, but to get a true sense of this country, rent a car at some point and take a road trip on some of the over four million miles of highways. Attend a local fair in a small town anywhere in the US. If you really want to understand the diversity of the US and see parts of the country you don't see on TV and in the movies, then try to attend some type of small town fair in the summer months. Corn dogs, funnel cakes, games, rides, dancing, singing - a truly unique American experience. Try the various types of barbecue. If it's one thing Americans love, it's cooking meat over fire. Carolina, Texas, and Kansas City are three of the most well-known types of barbecue to sample during your trip. Attend a sporting event. Baseball is the national pasttime, but football is the most popular sport going in the present. Attending either will provide a cool experience and insight into that city. If you just can't decide where to go and what to see in the US, check out some options for various tours and trips through friends of BootsnAll like Intrepid, Gap, and trekamerica. Visit the US in the winter and go skiing or snowboarding. Colorado is most popular, but Utah offers mountains and snow that rival Colorado's but without the same crowds. Head to the East Coast to a state like Vermont for a different experience. Attend a music festival - Bonnaroo in Tennessee, Coachella in California, SXSW (South by Southwest) in Austin, Texas, Jazzfest in New Orleans, Memphis in May, Telluride Bluegrass Festival, Newport Folk Festival, Lollapalooza in Chicago, and Burning Man in Nevada - just a small sample of the larger ones. If in the US in the summertime, you'll be hardpressed not to find a music festival somewhere. Where you fly in and out of will depend on your itinerary, but you have plenty of options. If spending time on the East Coast, fly into New York. If exploring the West, fly into LA. If you want to see the Midwest, Chicago is your choice. Miami and Atlanta will cover the south. 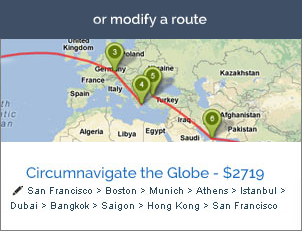 If you are adding the US to your larger, RTW trip, then think about flying around the country a bit. Maybe fly into LA, drive up to Seattle, fly to Denver, then across to New York. 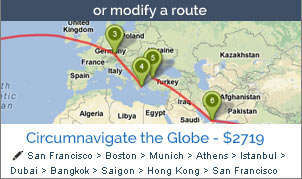 The possibilities are endless - use Indie to plan your multi-stop trip now. Once there, more than just about any country in the world, the United States is defined by the automobile. You'll want to think about how you plan on getting around. Outside of major cities public transportation is often limited, so you might need to rent a car. Greyhound is the largest bus company in the US, and Megabus is a giid, cheap, regional bus company (they don't cover as much of the country as Greyhound). Amtrak is the way to go if you want to take trains. There are no shortages of places to stay in the United States. Prices on hotels in America vary greatly, and it is always advised to do some planning ahead to get the best rates at the places you want to visit. Hostels in the US are often a cheaper alternative. They aren't as widespread as in other countries, but most major cities have at least one. Motels are a cheaper version of a hotel, not quite as affordable or communal as hostels, but a good in between, especially if you are road-tripping and staying in smaller towns. Camping is also an option if you have gear to do it.